Although the November 15 deer season opener garners most of the attention, among anglers, the last Saturday of the month, this year the big day is April 29, when pike, walleye, and trout become legal. At dawn on the 29th cars bump down seldom-used two track roads heading to “secret spots,” for a rendezvous with unsuspecting stream-dwelling trout, that haven’t seen a hook laden offering since the season ended nearly seven months earlier. It may be freezing out, and, on occasion, snow flurries are in the air, but the weather won’t deter anglers or the trout they seek. After a winter of relying on natural forage, trout are eager to pounce on a night-crawler floating by or a lure wriggling across their field of vision. And fishermen are ready to provide that offering. 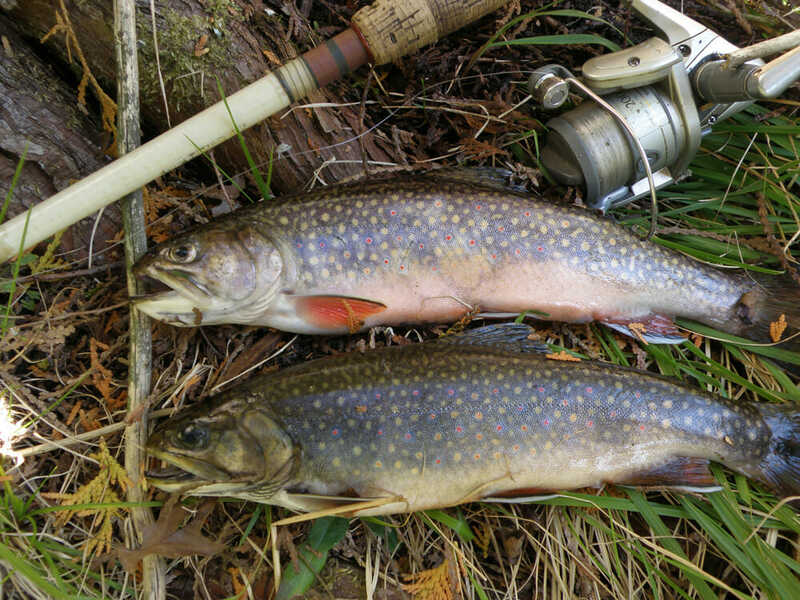 Unlike downstate areas, these trout waters won’t be crowded. Although there may be several hundred trying their luck on Opening Day, in the Cadillac area, crowding is not a problem. It’s likely an angler will fish a stretch of river and rarely see anyone. Hundreds of miles of trout habitat are close by in steams like the Pine, Little Manistee, Betsie, Manistee, and Pere Marquette. The Clam River, which flows through the city, is designated as a brook trout blue ribbon trout stream when it reaches the Missaukee County line. Although some streams are already open for trout fishing, these are primarily streams hosting runs of steelhead. 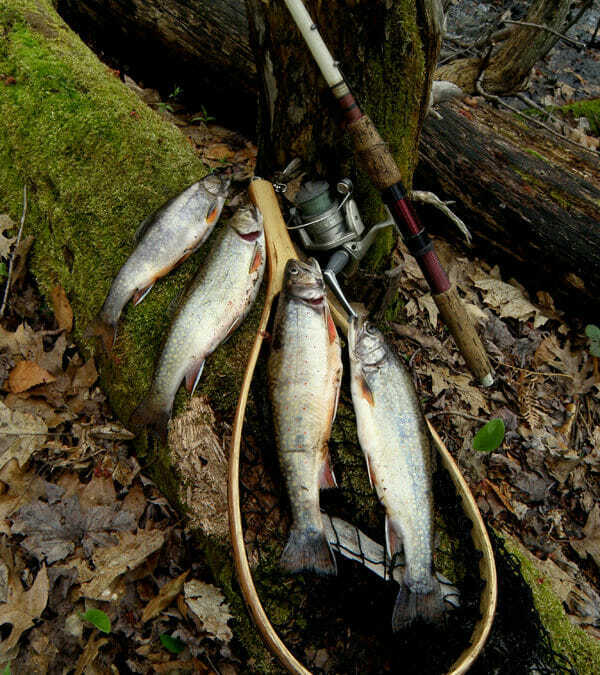 The vast majority of trout waters, however, remain closed until the last Saturday in April. Success usually comes to those sliding worms, night-crawlers, or wigglers into holes or deep runs. Anglers tossing spinners or minnow imitation plugs do well, but the key to fishing in this cold water is to work these baits slowly. The trout aren’t as aggressive as they will be later when the water begins to warm up. Opening day fly fishers rely on nymphs, streamers, and wet flies. Later in the season, when most the hatches occur, dry flies will become the bait of choice. April 29 also is the opener for pike and walleye. Opening day brings an uptick in boating as a legion of pike and walleye anglers pull their fishing craft from storage and head for the lakes. The most activity at boat launches will be found at Cadillac, Mitchell, and Missaukee Lakes, but smaller local lakes like Crooked, Long, Pleasant, and Berry are well supplied with gamefish. The odds favor the fishermen. After a winter under the ice, the warming water puts pike and walleye on the prowl. These gamefish are ready to feed, but baitfish numbers are depleted. With fewer edible options available, an angler’s offering is not likely to be rejected. With the underwater vegetation having died off during the winter, trolling now can be done over water which normally is weed-choked. Fish, having fewer places to hide are more likely to see the angler’s bait. This lack of weed cover gives fishermen another advantage. In the summer many an angler winds up with a tale of the “one that got away” when trophy-sized fish dive into the weeds and break the line. With the weeds no longer a problem, the odds favor early season anglers landing the big ones. Trolling minnow imitation crank baits like Rapalas or nightcrawler harnesses is probably the most popular technique for taking gamefish. 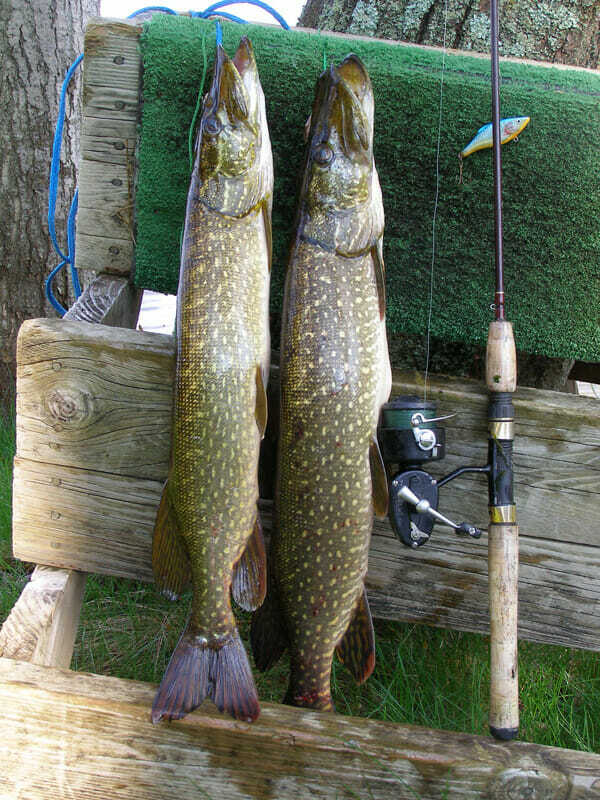 Others hope to entice pike and walleye by still-fishing with minnows suspended under bobbers. Probing hard bottom areas with minnows or nightcrawlers on slip sinker rigs can also be productive. The fish are there. Finding them means changing locations until the bites start coming. Walleye, which aren’t as quick and agile as pike, do much of their feeding in low light or during the night when their prey is less active. Some troll after dark using Rapala-type lures. Another popular technique finds wading anglers casting lures to the edge of deeper water after dark. Although the ends of the canal between Lake Mitchell and Cadillac is the best known spot, good catches are made along certain sections of shoreline. Successful anglers tend to be tight-lipped about these locations. Opening Day not only kicks-off the trout, pike, and walleye season, it begins what most feel is the best month of fishing during the year. A case can be made that more good fish are taken during May than are caught then during the months of June, July, and August combined. That’s as good a reason as any for being out there fishing on Opening Day and in the weeks that follow.